For police, he died from a sudden illness. Priests and activists call for justice and an investigation. Like Rimsha Masih, the victim suffered from mental illness and was thrown in jail on the basis of unsubstantiated charges. After a week since he was taken into custody, police had not yet started the investigation. Islamabad (AsiaNews) - A young Christian man, Nadeem Masih, was suddenly taken ill overnight on 1 December and died in prison. The mentally disturbed man been imprisoned on trumped-up blasphemy charges, this according the official police report. However, many elements in the case remain obscure, starting with the charges. 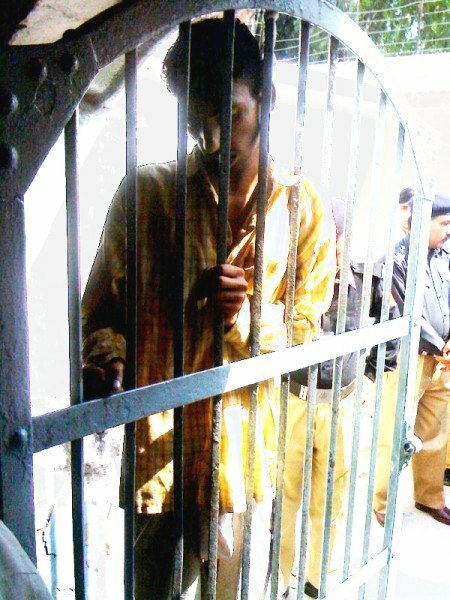 Nadeem Masih was accused of breaking Pakistan's 'black law' by a local resident, backed by a group of Islamists, whose complaint appear fabricated in more ways than one like the accusation levelled against Rimsha Masih, the 14-year-old Christian girl who fortunately was released after blasphemy charges against her were dropped. However, the fate of the 22-year-old man is different. Despite the absence of an investigation or even actual evidence against him, he died in police custody. Nadeem Masih was from Nankana Sahib, a town in Punjab. He was mentally disturbed. On 22 November, he was put in jail after he was accused of burning some pages of the Qur'an. He remained in custody for days despite the lack of evidence against him. Early reports suggest that police had not even started their investigations because of the absence of elements against him. In a statement, police said he was placed in custody to guarantee him "greater safety" against possible reprisals by extremists should he be released. However, he died overnight on 1 December under unusual circumstances. For the agents, he suddenly felt ill and died. Conversely, Christian activists and lawyers are saying that he was in "good health" and that he was beaten to death in his cell. Such a possibility is not easily dismissed since another young Christian man, Robert Fanish Masih, also from Punjab, was killed in prison. Nadeem Masih's body has been returned to the family, but lawyers want an autopsy to determine the cause of death. The young man's father, Yousaf Masih, has not made any statement on the matter and appears unwilling to pursue it any further, perhaps out of fear of retaliation. Some local Muslim religious leaders did come in Nadeem's defence, believing him to be innocent. "This is indeed an unfortunate incident," said Fr Arif John from the Lahore Diocese. "A mentally unstable young man dies in police custody. The authorities should investigate the circumstances under which he passed away. The allegation of blasphemy should not be used to kill the people." Fr Kamran John agrees. "The young man was illegally detained for over a week" without charges. This worsened his mental state. "This is a patent violation of human rights; his death should be investigated thoroughly."